I like the informal, mangled, ruching of the fabric; I think it adds interest to it. My only complaint about the dress is the design of the bottom part of it. I think it would have looked much better if the skirt had continued in a narrow A-line design in the same fabric with the hem just skimming the floor. I think it looks like all those "say yes to the dress" things for under $2000. Hello David's Bridal. Yeah, what a bummer that people are poor and can't wear high fashion. It's a real tragedy. So horrible that we have to look at people who haven't dropped thousands on one skirt/dress/shirt/shoes/whatever. Jesus H. Christ. Mine was a DB special as well Lothwen. This dress is very pretty! And it looks just as pretty as any wedding gown any of the royals have worn. My wedding dress cost about the same as yours. I know, how dare I? I should be so ashamed and should never have gotten married at all since I couldn't afford couture. One thing I learned early in life is that people who are actually seriously wealthy NEVER flaunt their wealth. It's always the wannabes who do. I've personally known more than one billionaire in my life, and I've known people who are trustafarians, and you'd never know how wealthy they were if you passed them on the street. It's only the desperate ones who make sure you know how much they spent on a skirt or who laugh at those who don't spend obscene amounts of money on flashy things. People really need to think twice before they make fun of people who aren't dropping thousands on their clothes. Lothwen your dress was lovely and I am sure you were a gorgeous bride! The cherry blossoms are beautiful. What a great idea! That's a very beautiful dress!!!! Not sure how my comment about Kate's dress was suddenly construed to be an insult to anyone who doesn't wear couture. I mean no such ridiculous thing. I am pretty sure that Kate's dress, no matter what designer, cost about the equivalent of several poster's wedding attire. 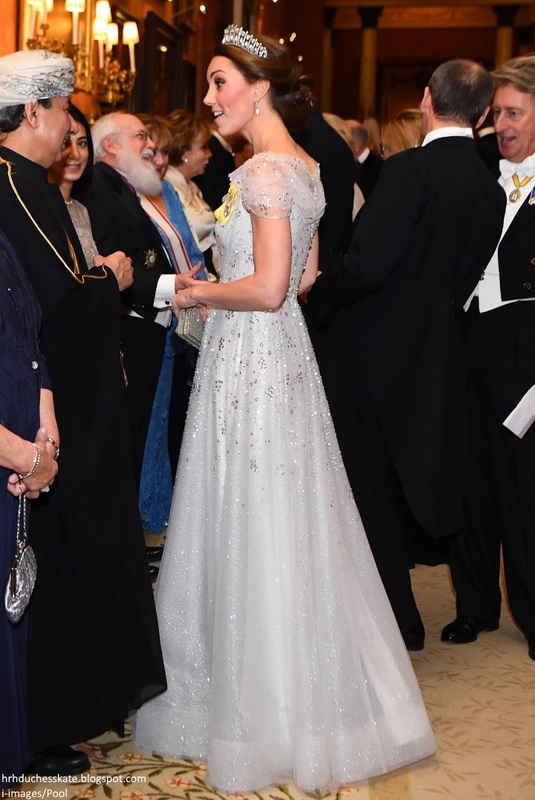 I wasn't putting down David's bridal or whatever shop does the 'say yes to the dress show', I was simply saying that Kate's dress looked nothing like the new innovative fashion forward design the design house likely had her pay for. It was a tried and much copied model that has been seen since the 80's. A picture of Kate in a stunning Marchesa dress, black and gold and the Strathmore Rose Tiara. Can't find a closer look anywhere. Plz notice some pictures of late Lady Diana that I personnly never saw before. Many beautiful dresses never shown in the media. It is Photoshopped by some crazy sugar. There is some bad and crazy photoshop on that link. And her arms appear to be 4' long. I dunno... the ruffle on the bottom of the blue/grey taffeta number out-ruffled any ruffle on the bottom of any of her Erdem frocks. For all the talk of Kate's boring style, I must admit that I enjoy when she takes risks with her formal gowns. It seems to be the one area where she is consistently comfortable to take a risk. Granted, a lot of the time it doesn't quite work but I appreciate the risk.